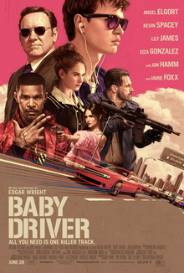 The Campus Activities Board will screen “Baby Driver” at 2:30, 5:30 and 8:30 p.m. Thursday, Sept. 14, in BSC’s Phelps Theater. The film is about a talented getaway driver who relies on the beat of his personal soundtrack to be the best in the game. But after meeting the woman of his dreams, his plans to make a clean break from crime takes a wrong turn. All screenings are free and open to the campus community. The Campus Activities Board will offer free snacks and drinks.